In 1978, John Hunter introduced a complex, immersive, interactive, collaborative, geopolitical game to his elementary school students. 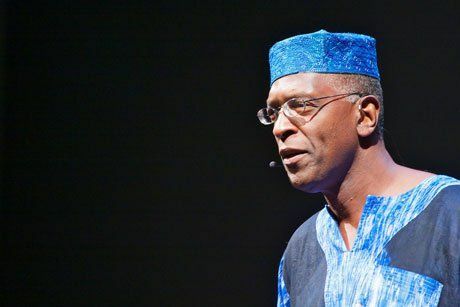 In 2011, he gained a global following when he delivered a TED talk about his 30-year experience of "Teaching with the World Peace Game." The talk was shared far and wide as millions were moved by his example of hands-on teaching. And millions began thinking about how to bring out the best in every child through an aspiration for something greater than even the most powerful on earth have yet to achieve -- peace. When I met John Hunter and experienced his humility, warmth and thoughtfulness, I caught a glimpse behind the effectiveness and sincerity driving his work. A film about Hunter's experience with the game has been touring festivals and PBS stations, and he's just published a book, World Peace and Other 4th-Grade Achievements, to dissect the lessons of the World Peace Game and share the journey leading to this important exercise in 21st century learning that began way ahead of its time. Hunter grew up in the segregated South, instilled with a foundation in nonviolent social change. While in and out of college, he sought an enlightened path, learning from spiritual seekers and leaders in India, Japan and China. His reflections on the philosophy of Gandhi, Sun Tzu and other Eastern thinkers led to more questions, such as: What is his true community? What does it mean to be at home in the world? How can we create peace? This journey also led him back to southern Virginia to be a schoolteacher. Many of his questions had no clear answers. Their inconclusiveness helped shape Hunter's long career and his motto for his elementary school classes: "Learning to live and work comfortably, naturally, in the unknown." Hunter's approach -- and perhaps his appeal -- flies in the face of standardized testing, where there always is a right answer contained in a little bubble for students to fill in. Over 50 global problems (including climate change, rogue satellites, chemical warfare, massive oil spills, tsunamis, and ethnic and religious conflict) can be unraveled and solved. Every nation’s asset value must exceed its starting point. In other words, everyone has to win, which makes the game more complex. When the game begins, students enter the classroom to find a four-level Plexiglass tower arrayed with little plastic factories, cities, soldiers and tanks. On the ground and sea level they see the trappings of peace and war, leaders and citizens, oceans and deserts, poverty and wealth. At the top there is an air level, and at the second level are four fictitious nations. One is wealthy, one is oil-rich, one is poor, and the fourth is philosophically mandated to preserve the planet. Every child has a role, such as Prime Minister of a nation, cabinet member, President of the World Bank, arms dealer, Secretary General of the United Nations, saboteur and weather god/goddess (who also controls the stock market). Each role receives a top-secret dossier with 20-30 pages of vital information describing the 50 interlocking crises that are to be resolved, and the budget and other financial information used for crucial calculations. Throughout the book, Hunter shares stories of how diverse children's personalities played out their roles -- some naturally and some painfully, but always taking away deeper lessons. Hunter concludes that the ultimate point of education (which is composed of knowledge, creativity and wisdom) is "simply to express compassion in the world," a lesson that real world leaders still haven't mastered. This drives Hunter's vision for his students well beyond achieving competence in a topic for an annual assessment. As one reads the book, his sense of profound respect for his students comes through; he honors their collective wisdom over his own authority, training them for something urgently needed, which has never been done before -- the achievement of world peace. Overload and confusion: When students are immediately confronted with 50 socio- and geopolitical crises, it's natural for them to feel completely overwhelmed. Hunter believes the flood of information and crises is precisely what can open the space for creativity and deeper learning. Failure: Though painful, this can be a "gateway to new solutions" that results in "spontaneous compassion." Personal understanding: Once limits are pushed, new solutions can be found; this leads to giving oneself over to a greater good. Collaboration: Becoming part of a greater process, students begin to understand that they can offer solutions they couldn’t have achieved on their own. "Click": Awareness moves higher and deeper, and students "get it." It's that shift when one experiences an "a-ha" moment. Flow: During this transcendent time, which can last a minute or all day, separateness and limitations dissolve. Application of understanding: When the understanding derived during that too-fleeting state of flow is applied to problems, students realize that success in the game comes from truly becoming part of something larger than themselves, and deciding together how to move forward. As I imagined these Seven Stages of Learning playing out, I remembered the seven stages of spiritual discovery taught by eastern mystics in Attar's The Conference of the Birds and Baha'u'llah's The Seven Valleys, or, closely connected, the Buddha's Noble Eightfold Path. In each of these approaches, clarity of mind, creativity, profound searching, deep connection and awakening to a broader knowledge that transcends our limitations come together to elevate the state of the individual, achieving a profound unity with humanity and, ultimately, a better world. This may be a lot to ask of a teacher who wishes to start a thoughtful project-based learning exercise, but even a loose connection between these ideals elevates purpose and honors the nobility of the profession, the learning process, and all those who will encourage its implementation. Just as world peace is fraught with complexity, the World Peace Game has its challenges. For example, as access and speed of information has expanded, so has impatience for not knowing. Today's students, accustomed to instant answers, are increasingly uncomfortable with the Game's lack of immediacy. Also, there's no turnkey World Peace Game that anyone can order. Hunter offers Master Classes to those who can physically attend, but setting up one's own game isn't so simple -- yet. Offer silence and empty space for brand-new ideas to emerge. We seem compelled in our culture to override quiet sounds and fill quiet spaces with talk, stuff or noise. Resist that temptation; get comfortable with the power of an empty space. Learning surpasses expectations when it has purpose. Hunter wouldn't define terms like "adversary," "insurgency" and "protocol" for fourth graders; but he used these and other terms repeatedly in context, so kids naturally picked up the vocabulary. Similarly, students don't shy away from learning about complex issues like climate change, macroeconomics, or limited natural resources when they are compelled by tangible problems. Profound respect for students helps them rise to higher achievement. When students were about to make colossal errors impacting the fate of humanity, Hunter allowed the group's wisdom to guide the outcome, and the respect he showed them raised their desire to "win" collectively. Collaboration leads to its own, unexpected magic. Learning how to work together at various levels can start early, lead to greater creativity, and is like a muscle that we all have -- but it needs to be exercised. "Winning" the Game demonstrates how the whole can be greater than the sum of its parts. And finally, world peace is possible. As complex it may be to realize, world peace must stand as a tangible goal and not something to be thought of as a mere utopian ideal or intellectual exercise. Otherwise, why try? I hope the lessons instilled in the fourth-graders will stay with them, and we will thank them when they sign their next peace treaty -- between actual nations.